What does Built Lean™ mean to you? Being a Lean Manufacturer is more than a slogan. It’s the ability to deliver the best quality parts for the lowest total price to you. Our employees look for opportunities to eliminate waste and reduce cost every day. Faster changeovers, level loading machines, and 100% ERP utilization for lightening speed from raw material to finished product. Computer generated production orders with bar coded machines and raw materials means the front office can know exactly where your product is on the floor, and whether it has reached shipping. Our real-time ERP system lets us see clearly the entire plant while we’re on the phone with you or answering your e-mail. Automatic tracking of shipments can be sent to you for easy follow up. Never again wonder whether your part has shipped – or may not ship for several more days. 24-hour order confirmation with firm ship dates, Vendor Managed Inventory, Pull systems that deliver you more product as soon as you finish using what you have. NO MORE DELAYS! That’s what Built Lean™ means for you. So if Built Lean™ is what you need, then come give us a try. iso 14001 policy - "Refuse *Reduce *Reuse *Recycle"
Refuse: The management team will attempt to refuse the use of products that are not environmentally sound. Reduce: Programs will be continually updated to reduce waste from both an economic and community steward perspective. Reuse: Opportunities to reuse product to minimize waste and improve costs will be explored. Recycle: Programs will be put into place to continually reduce waste and increase efforts at recycling product. Environmental Scope: Myers Spring’s Environmental Management System (EMS) is intended to comply fully with ISO 14001:2015. 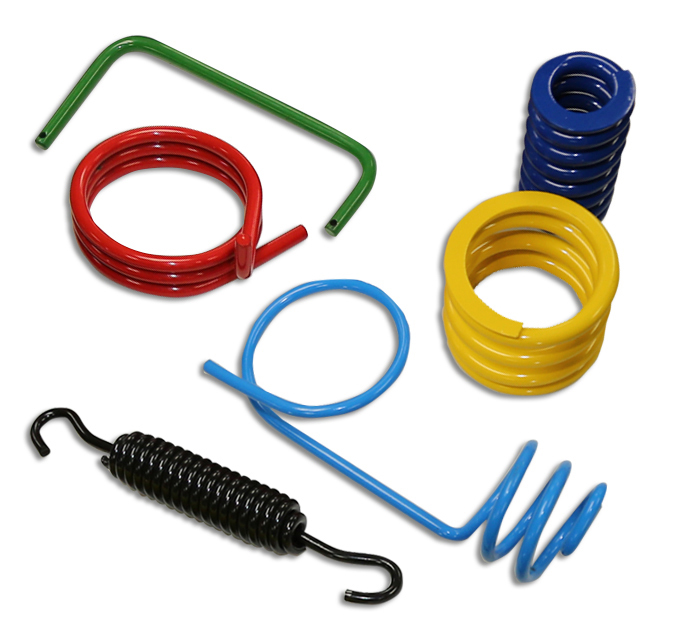 The scope of its EMS is the manufacture of wire springs and wire forms out of diverse metals, located at 720 Water Street, Logansport, Indiana. Quality Scope: Myers Spring’s Quality Management System (QMS) is intended to comply fully with ISO 9001:2015 and IATF 16949:2016, as well as all applicable customer-specific QMS requirements. 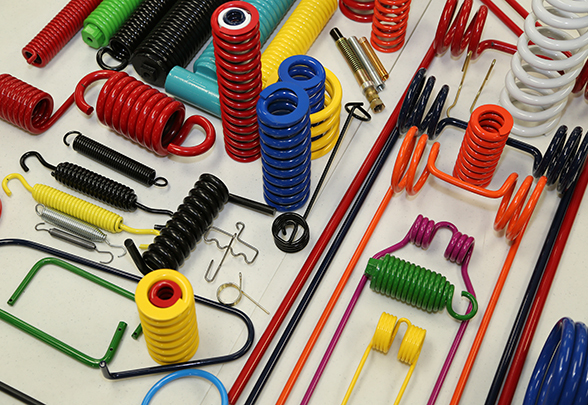 The scope of its QMS is the manufacture of springs and wire forms, located at 720 Water Street, Logansport, Indiana. © Copyright 2019 Myers Spring Co. All Rights Reserved.